This is an discontinued guitar strap that fought with the sewing machine during it's creation. 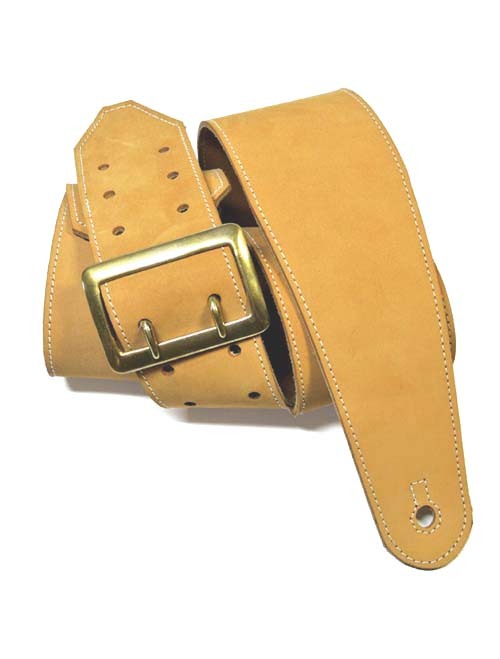 It has some areas that are double stitched, so it's not a strap we want to sell at full price, but it's awesome leather, so we can't just throw it out! Snag it up for CHEAP! 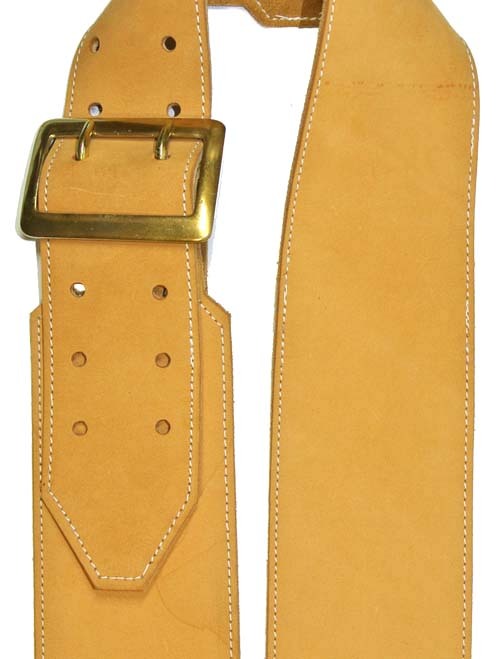 This strap is cut to 3.25 inches wide, and backed with high quality gold suede. We only have one of these available in our Regular length: adjusts from 43 to 50 inches. Steal it at a ridiculouly low price!